I am seeking positions where I can combine my creative and social skills/experience to work with children and the community to promote the arts and education. Professional experience in various art mediums including painting, photography, printmaking, sculpture, and teaching/assisting with ages 6-21. Seat guests, bus tables, answer phone. Led art intensive classes for children aged 6-11. Assisted kids in creating sets, props, and costumes for numerous theater productions. Advisor and mentor to freshman students. Built floor community, organized programs and social events, crisis intervention and conflict mediation skills, small staff team work, administrative paperwork, managing of budgets. Supervised campers aged 6-17 and led classes in visual arts and circus training, served as a mentor and mediator, Greensboro, VT. Supervised campers ages 8-14,organized activates, led visual art classes. Shire Village Camp, Mellor Road, Cummington, MA. Curate shows, install artwork, assist local artists, and lead tours of annual "City Wide Open Studios." 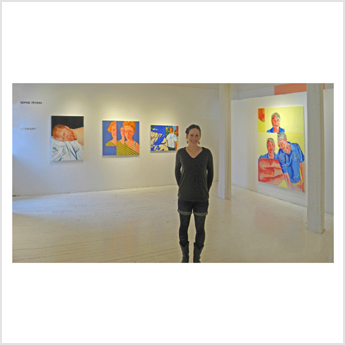 Set up and assist during art openings and large events. Volunteered for production company at events: Dumbo Arts Festival, Municipal Art Society Summit, assisted with office and administrative work. Two mission trips to Tennessee and Puerto Rico to improve homes of poor elderly residents and repair homes damaged by hurricanes. View, download, or print the PDF version of my resume.